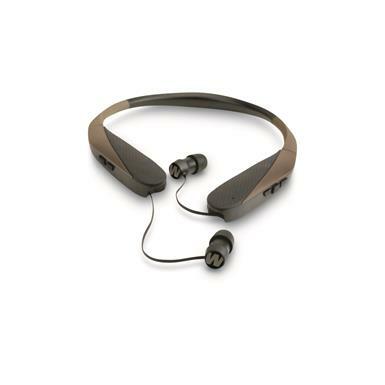 Electronic 31dB Bluetooth Ear Plugs protect your hearing. Introducing polymer Electronic Ear Plugs for the shooting range, the worksite, rock concert or maybe when those neighbors are getting loud again. It's the easy way to protect your hearing. These ear protectants allow you to better hear soft noises, while canceling out damaging loud noises. They sport a 31dB noise reduction rating. Their tapered shape makes for a natural fit and sure seal. These Electronic Ear Plugs carry a 31dB noise reduction rating and also a 250mAH battery for 10 hours of use. Also comes equipped with Bluetooth technology, allowing you to connect with your phone or other bluetooth capable devices. Play it safe, order today! Walkers Razor XV/Bluetooth Ear Plugs is rated 4.8 out of 5 by 4. Rated 5 out of 5 by Jeremy B from Great Ear Plugs I've used regular ear plugs and ear muffs, but these are they best. Comfartable for all day wearing. I have been looking for ear plugs like these to come along. This is the answer. They worked great at stopping gunshots while allowing me to hear voices good while also listening to my tunes. this was everything I needed. Rated 4 out of 5 by KENNETH from Lightweight and low profile With other hearing protection I have to take out my blue tooth. with these they are my blue tooth. 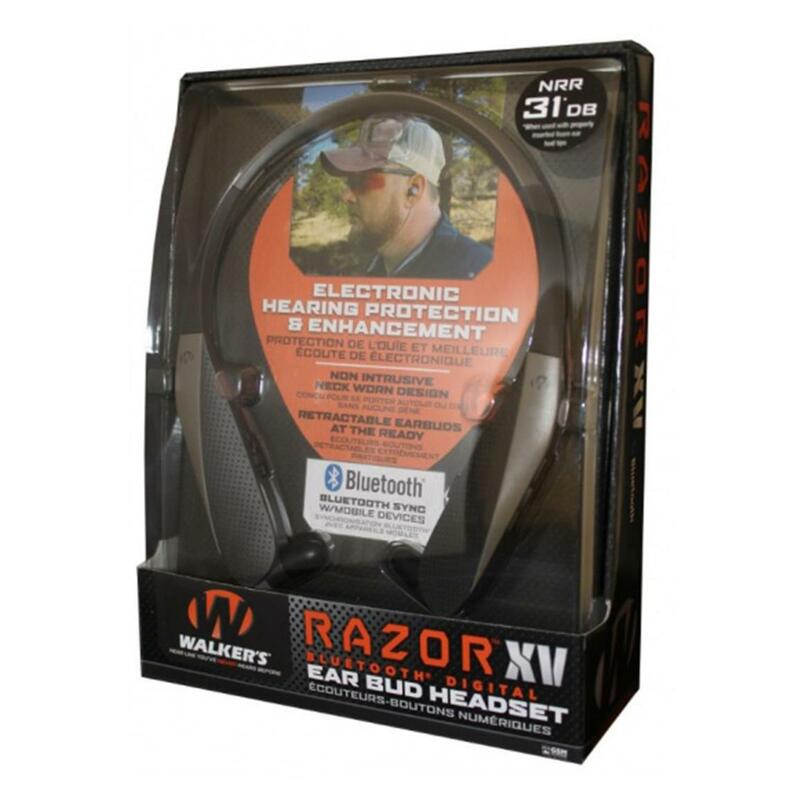 they are excellent at amplifying sounds while providing great sound suppression and there light and small enough to wear while shooting and hunting. With me being partially deaf that is a great bonus while hunting. The only reason I didn't give five stars is the battery life. I think they say 8hrs. but it's closer to 5. Rated 5 out of 5 by Greg L from Excellent Hunting Tool I used these on a recent bear hunt. I could hear bears as they carried off the bait and were going through the woods. These did an excellent job of silencing the gun shot. I highly recommend these.